Irrfan Khan who is battling neuroendocrine tumour and is undergoing treatment in London was back on Twitter after almost a month. This definitely delighted the actor’s fans across the world. Irrfan not only shared his thoughts on fighting the rare disease but also changed his Twitter display picture. The new DP has Irrfan watching cricket match along with his family at Lords’ stadium in London. Surprisingly, the picture is same as to what went viral last month when fans began speculating that the actor is watching England vs Pakistan match. In a long note to Delhi Times, Irrfan mentioned Lords’ stadium as The Mecca of his childhood dream. He also stated that his hospital is opposite the stadium. ”As I was entering the hospital, drained, exhausted, listless, I hardly realised my hospital was on the opposite side of Lord’s, the stadium. The Mecca of my childhood dream. Amidst the pain, I saw a poster of a smiling Vivian Richards. Nothing happened, as if that world didn’t ever belong to me,” he wrote. ”I was left with this immense effect of the enormous power and intelligence of the cosmos. The peculiarity of MY hospital’s location – it HIT me. The only thing certain was the uncertainty. All I could do was to realise my strength and play my game better. This realisation made me submit, surrender and trust, irrespective of the outcome, irrespective of where this takes me, eight months from now, or four months from now, or two years. The concerns took a back seat and started to fade and kind of went out of my mindspace. For the first time, I felt what ‘freedom’ truly means. It felt like an accomplishment. As if I was tasting life for the first time, the magical side of it. My confidence in the intelligence of the cosmos became absolute. I feel as if it has entered every cell of mine,” Irrfan wrote for the tabloid. ”Throughout my journey, people have been wishing me well, praying for me, from all over the world. People I know, people I don’t even know. They were praying from different places, different time zones, and I feel all their prayers become ONE. One big force, like a force of current, which got inside me through the end of my spine and has germinated through the crown of my head,” the note further read. 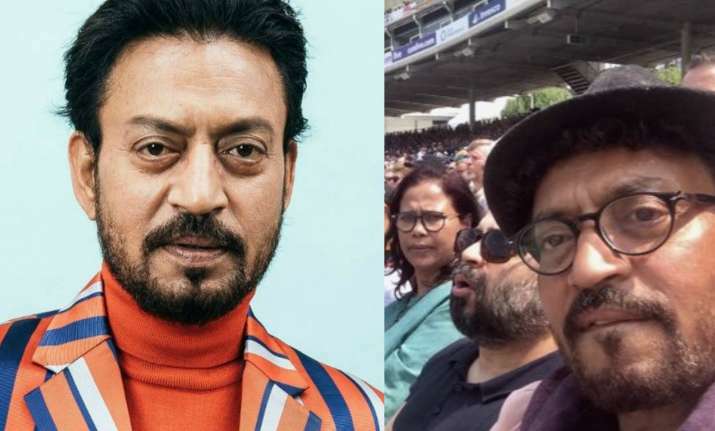 Earlier, in March, Irrfan’s fans were shocked after the actor announced that he has been diagnosed with neuroendocrine tumour and will be away from Indian for the treatment. The news broke just before the release of Abhinav Deol’s Blackmail. Irrfan will next be seen in Karwan and Puzzle.